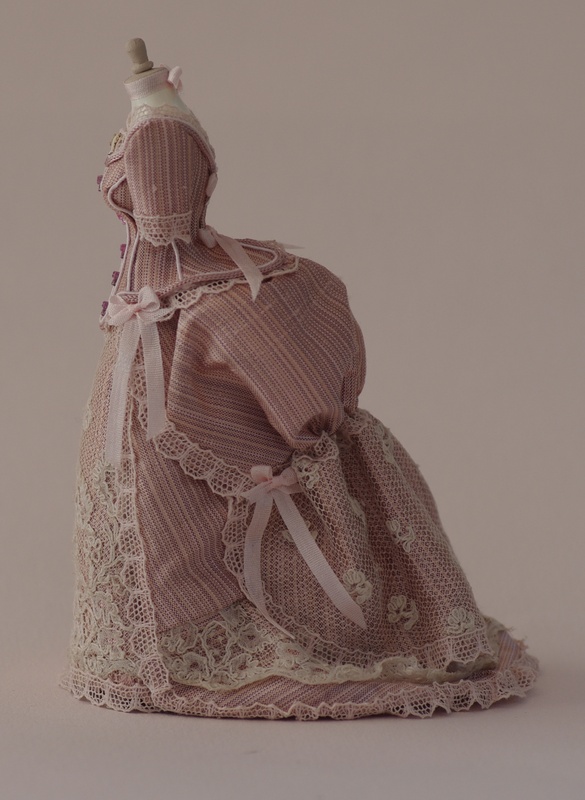 Dress in fine striped silk with antique lace, finished with ribbon and trim fashioned on dress dummy from England. 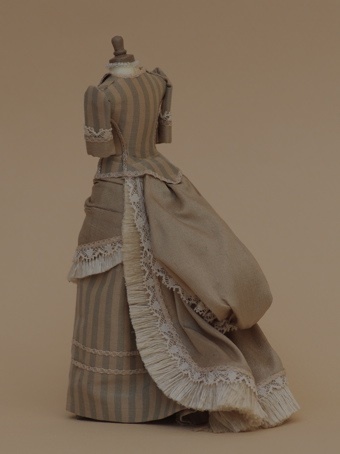 The fabric is silk in a beige with green slant, beige trim and lace, all displayed on a dress form made in UK. 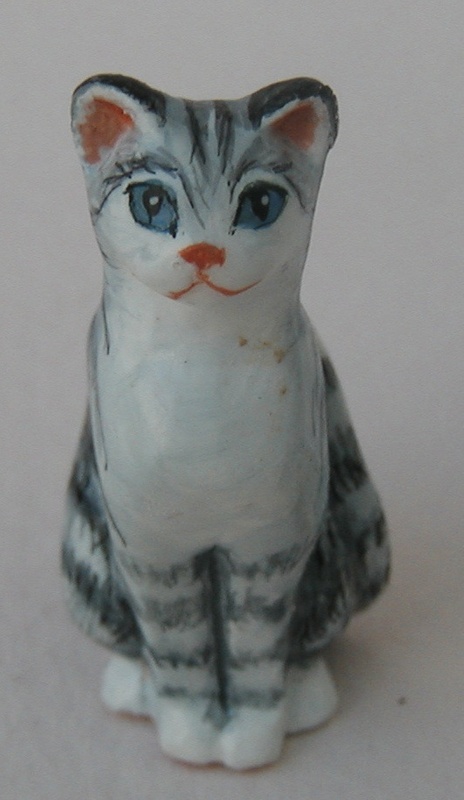 The perfect pet for your dollhouse. 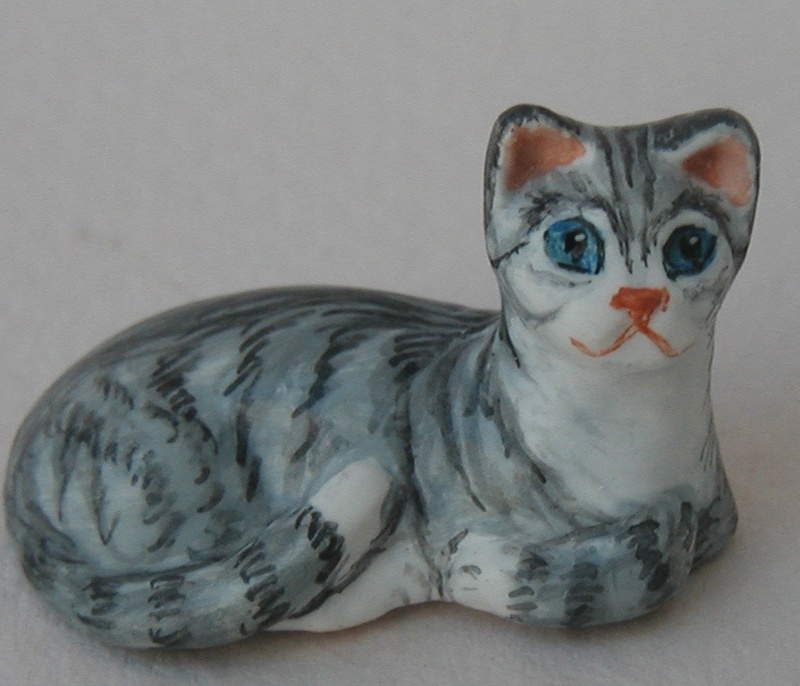 Purrrrfect companion for your dollhouse. 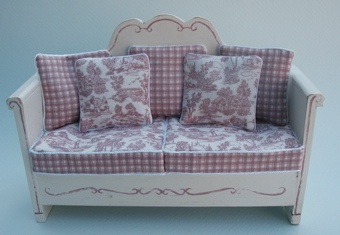 These benches are upholstered in toile and check toning fabric. 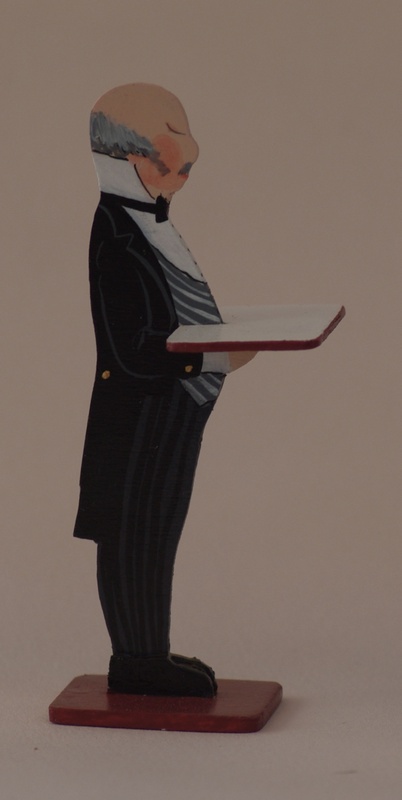 Note: The blue is on the lavender spectrum rather than a deep blue. 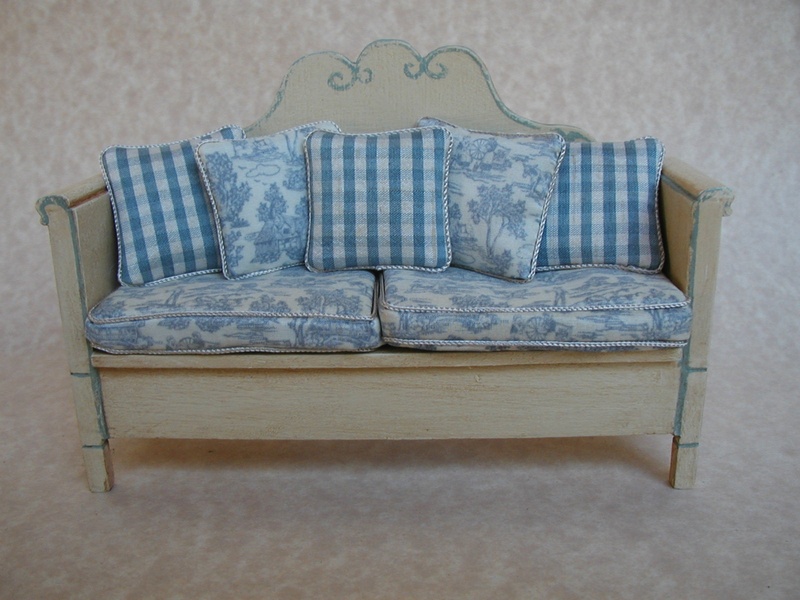 I first saw the full size article in an antique shop, now I make this in various colors.